Background: Fruit and vegetable (FV) consumption is important for health, but many individuals fail to consume adequate FV for health benefits. While many individuals are aware of current FV consumption recommendations, research suggests that adherence to these recommendations is hampered by low knowledge and confusion surrounding the details of the recommendations. Objective: This paper reports the development and details of a pilot randomized controlled trial for a novel interactive mobile phone application (app) for addressing low knowledge of the UK 5 a day FV recommendations. Methods: First, the requirements for the app were elicited and defined by researchers and potential end-users, and prioritised using the MoSCoW method. Then a prototype smart phone app was designed and developed using an agile approach. The prototype app was then tested in a randomized controlled pilot trial, for impacts on FV knowledge and FV intake, where users also provided qualitative feedback. In this trial, volunteers were randomized to either receive (N=50) or not receive the app (N=44) for two or four weeks, and FV knowledge, FV intakes, and FV behaviour were assessed at study start and study end. App usage and feedback was also investigated. Lastly, a final version of the app was developed to incorporate the findings from this pilot test. Results: Low knowledge of the FV recommendations centred around portion sizes and the need for variety, and an interactive mobile phone app was considered a suitable tool for improving knowledge in a practical manner, that would be available both at time of consumption and outside of these times. The pilot test revealed improved FV behaviour in volunteers who received the app for two weeks compared to baseline, and suggestions of increased FV intakes, but improvements in FV knowledge were found in both groups, and no improvements in FV intake were found in formal measures. App usage was also low and feedback suggested a desire for reminder notifications and a value from increased awareness of low FV intakes. Improvements in the final version of the app include a message to increase awareness of low intakes and an option to add notifications to increase use. Conclusions: A novel interactive mobile phone app was successfully developed based on requirements, and when tested in a pilot randomized controlled trial, this app was found to have some impacts on FV outcomes. While benefits from the app were small, app usage was also low, and feedback from those testing the app offered useful insights to improve engagement. A final version of the app has now been developed and requires full testing. Clinical Trial: www.clinicaltrials.gov (ID NCT02779491). JMIR mHealth and uHealth (JMU, ISSN 2291-5222) is a sister journal of JMIR, the leading eHealth journal. JMIR mHealth and uHealth is indexed in PubMed, PubMed Central, Scopus, and Science Citation Index Expanded (SCIE), and in June 2018 received an Impact Factor of 4.541, which ranks the journal #2 (behind JMIR) out of 25 journals in the medical informatics category indexed by the Science Citation Index Expanded (SCIE) by Thomson Reuters/Clarivate. The journal focusses on health and biomedical applications in mobile and tablet computing, pervasive and ubiquitous computing, wearable computing and domotics. JMIR mHealth and uHealth publishes since 2013 and was the first mhealth journal in Pubmed. It publishes even faster and has a broader scope with including papers which are more technical or more formative/developmental than what would be published in the Journal of Medical Internet Research. JMIR mHealth and uHealth features a rapid and thorough peer-review process, professional copyediting, professional production of PDF, XHTML, and XML proofs. JMIR mHealth and uHealth adheres to the same quality standards as JMIR and all articles published here are also cross-listed in the Table of Contents of JMIR, the worlds' leading medical journal in health sciences / health services research and health informatics. 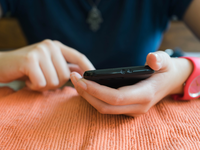 Objective: Within a 2-way text messaging study in AYAs who recently completed treatment for cancer, we sought to evaluate text message responsivity across different types of text messages. Methods: AYAs who recently completed treatment for cancer (n=26; mean age=16 years; 62% female, 16/26 participants) received 2-way text messages about survivorship health topics over a 16-week period. Using participants’ text message log data, we coded responsivity to text messages and evaluated trends in responsivity to unprompted text messages and prompted text messages of varying content (eg, medication reminders, appointment reminders, and texts about personal experiences as a cancer survivor). Results: Across prompted and unprompted text messages, responsivity rapidly decreased (P ≤.001 and =.01, respectively) and plateaued by the third week of the intervention. However, participants were more responsive to prompted text messages (mean responsivity=46% by week 16) than unprompted messages (mean responsivity=10% by week 16). They also demonstrated stable responsivity to certain prompted content: medication reminders, appointment reminders, goal motivation, goal progress, and patient experience texts. Conclusions: Our methodology of evaluating text message responsivity revealed important patterns of engagement in a 2-way text message intervention for AYA cancer survivors. Background: High salt consumption has contributed to the rise of noncommunicable diseases around the world. 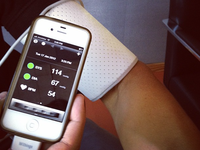 The application of mobile health (mHealth) technologies has witnessed rapid growth in recent years. However, evidence to support mHealth interventions to confront the challenge of salt reduction has not yet been critically reviewed. Objective: The aim of this study was to identify, characterize, and evaluate mHealth interventions aimed at salt reduction across the world. Methods: A systematic search of studies in English or Chinese language published from January 1, 1992 to July 31, 2017 was conducted using 4 English databases (PubMed, MEDLINE, Global Health, and Cochrane) and 3 Chinese databases (Wanfang, China Science and Technology Journal, and China National Knowledge of Infrastructure). 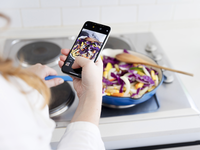 All studies directly using mobile technologies in health care with a primary or secondary objective of reducing dietary salt consumption were included. Results: A total of 1609 articles were found using the search strategy, with 11 full articles (8 English and 3 Chinese) being included for data extraction, including 11 interventional studies. Overall, few high-quality interventions were identified. Most interventions were limited by small study population sample sizes, lack of control groups, and short follow-up times, all of which were obstacles in generating long-term scalable approaches. Most interventions employed short message service as a platform for mHealth interventions, whereas some innovative mHealth technologies were also explored. Most interventions had a primary focus of improving awareness of dietary salt consumption. The outcome variables used to measure intervention effectiveness included 24-hour urinary sodium excretion, spot urine sampling, dietary records, and indirect behavior or knowledge indicators targeting salt consumption. Although most interventions displayed positive outcome results, none of them provided reliable evidence to evaluate the effectiveness of salt reduction. Conclusions: Salt reduction in mHealth initiatives remains relatively unexplored; however, studies that did intervene on salt-reduction show the potential of mHealth as an effective intervention method. We provide 3 recommendations for future mHealth interventions in salt reduction—(1) increased use of new, innovative, and interactive mHealth technologies; (2) development of mHealth interventions with primary prevention measures and goals of salt reduction; and (3) large-scale, rigorously designed, and object-targeted clinical trials of mHealth interventions with appropriate quantitative outcome variables, in particular 24-hour urine sodium. Background: Physical activity (PA) is already beneficial at the preschool age. In many countries, young children spend most of their days in the preschool setting, making it a common arena for PA interventions. Mobile health tools are becoming increasingly popular to promote PA in different populations; however, little is known about the interest for and how the preschool setting could incorporate such a tool. 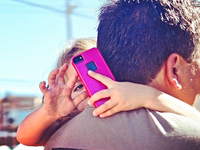 Objective: This study aimed to examine how teachers and parents perceive PA in preschool-aged children in general and their perceptions of how a mobile phone app could be used to promote PA in the preschool setting. Methods: Semistructured interviews were conducted with 15 teachers (93%, [14/15] women, mean age 43.5 years, 47%, [7/15] with a university degree and 10 parents [91%, 9/10] women, mean age 38.9 years, all with a university degree) recruited from 2 urban preschools in central Sweden. The interviews were recorded, fully transcribed, coded, and analyzed using thematic analysis by means of an inductive approach. Results: The analysis revealed 4 themes: (1) children are physically active by nature, (2) the environment as a facilitator or a barrier, (3) prerequisites of the adult world, and (4) an app in the preschool setting—challenges and possibilities. Parents and teachers perceived preschoolers as being spontaneously physically active; however, high-intensity PA was perceived as low. The PA was specifically performed during the day in the preschool. Identified facilitators of PA were access to safe and engaging outdoor environments such as forests, spacious indoor areas, and adult involvement. Adult involvement was considered especially important for children preferring sedentary activities. Identified barriers for PA were restricted indoor and outdoor space, rules for indoor activities, and lack of adult involvement because of time constraints. The teachers perceived that they had limited skills and experiences using apps in general, although they also acknowledged the increasing role of technological tools in the curriculum. Thus, the teachers expressed an interest for an app designed as a support tool for them, especially for situations when PA was limited because of perceived barriers. They suggested the app to include accessible information regarding the health benefits of PA in children linked to a library of activities for different settings and seasons. Parents suggested interactive app features including problem-solving tasks and music and dance, but not video clips as they made children passive. Conclusions: Vigorous PA was perceived as low in preschool-aged children. Future tailoring of interventions in the preschool setting should work around barriers and support facilitators to PA, especially PA of high intensity. In such work, an app could serve as a source of inspiration for PA in different ages, settings, and seasons and thus reduce environmental and structural inequalities in the preschool setting. Background: Complications of the diabetic lower extremity (such as diabetic foot ulcers, DFUs) occur when monitoring is infrequent, and often result in serious sequelae like amputation or even death. Objective: To evaluate the potential application of mobile health (mHealth) to diabetic foot monitoring. We surveyed the self-management routines of a group of diabetic patients, as well as patient and clinician opinions on the use of mHealth in this context. Methods: Patients with DFUs in Toronto, Ontario, Canada completed a 25-item questionnaire addressing their foot care practices, mobile phone use, and views on mHealth. Wound care clinicians across Canada were also surveyed using a 9-item questionnaire. Results: Of the patients surveyed, 59/115 (51.3%) spend less than a minute checking their feet, and 17/115 (15%) of patients find it difficult to see their doctor or get to the hospital regularly. Mobile phone use was widespread in our patient cohort (93/115, 80.9%). Of mobile phone users, 68/93 (73.1%) would use a device on their mobile phone to help them check their feet. Of the clinicians who completed the questionnaire, only 7/202 (3.5%) were familiar with mHealth; however, 181/202 (92%) of clinicians expressed interest in using mHealth to monitor their patients between visits. Conclusions: Patient education or motivation and clinician training were identified as the major barriers to mHealth use in the diabetic lower extremity, which may be a viable mechanism to improve DFU monitoring practices. Background: A large number of mobile health (mHealth) apps have been created to help users to manage their health or receive health care services. Many of these mHealth apps have proven to be helpful for maintaining or improving their users’ health. However, many people still choose not to use mHealth apps or only use them for a short period. One of the reasons behind this lack of use is the concern for their health information security and privacy. Objective: The goal of this study was to determine the relationship between users’ characteristics and their security and privacy concerns and to identify desired security features in mHealth apps, which could reduce these concerns. Methods: A questionnaire was designed and validated by the research team. This questionnaire was then used to determine mobile app users’ security and privacy concerns regarding personal health data in mHealth apps as well as the security features most users’ desire. A semistructured interview was used to identify barriers to and facilitators of adopting mHealth apps. Results: In total, 117 randomly selected study participants from a large pool took part in this study and provided responses to the validated questionnaire and the semistructured interview questions. The results indicate that most study participants did have concerns about their privacy when using mHealth apps. 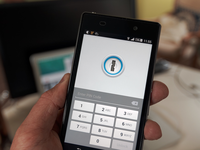 They also expressed their preferences regarding several security features in mHealth apps, such as regular password updates, remote wipe, user consent, and access control. An association between their demographic characteristics and their concerns and preferences in security and privacy was identified; however, in most cases, the differences among the different demographic groups were not statistically significant, except for a few very specific aspects. These study participants also indicated that the cost of apps and lack of security features in mHealth apps were barriers for adoption, whereas having free apps, strong but easy-to-use security features, and clear user protection privacy policies might encourage them to use mHealth apps in their health management. Conclusions: This questionnaire and interview study verified the security and privacy concerns of mHealth app users, identified the desired security and privacy features, and determined specific barriers to and facilitators of users adopting mHealth apps. The results can be used to guide mHealth app developers to create apps that would be welcomed by users. Background: Parents of preterm infants increasingly use their mobile phone to search for health information. In a recent review, websites targeted toward parents with infants in the neonatal intensive care unit (NICU) were found to have poor to moderate quality educational material; however, there is a dearth of literature regarding mobile apps for NICU parents. Objective: This study aimed to identify and evaluate apps targeting parents of infants in the NICU for quality of information, usability, and credibility. Methods: We systematically searched the Apple App Store and Google Play using 49 key terms (eg, “preterm infant”) from July 26 to August 18, 2017. 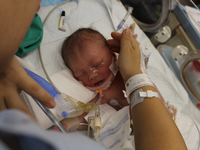 English apps targeting NICU parents that cost less than $20 were included. Apps for health care professionals, e-books/magazines, or nonrelevant results were excluded. In total, 3 tools were used for evaluation: Mobile Application Rating Scale (MARS) to measure quality; Patient Education Materials Assessment Tool for Audiovisual Materials (PEMAT-AV) to measure the app’s content usability; and Trust it or Trash It to measure credibility. Results: The initial search yielded 6579 apps, with 49 apps eligible after title and description screening. In total, 27 apps met the eligibility criteria with 9 apps available in both app stores; of those, the app with the most recent update date was chosen to be included in the analysis. Thus, 18 unique apps were included for final analysis. Using MARS, 7 apps (7/18, 39%) received a good score on overall quality (ie, 4.0 out of 5.0), with none receiving an excellent score. In addition, 8 apps (8/18, 44%) received a PEMAT-AV score between 51% and 75% on the understandability subscale, and 8 apps (8/18, 44%) scored between 76% and 100% on the actionability subscale. Trust It or Trash It deemed 13 apps (13/18, 72%) as trash for reasons including no identification of sources or lack of current information, with only 5 (5/18, 28%) deemed trustworthy. Reviewer’s expert evaluation found 16 apps contained content that matched information provided by multiple sources; however, most apps did not meet other objective measurement items to support credibility. When comparing the MARS overall quality and subjective quality scores with trustworthiness of apps, there was no statistically significant difference. A statistically significant difference was found between the 2 MARS quality scores, indicating that, on average, apps were ranked significantly lower on subjective quality compared with overall quality measures. Conclusions: This evaluation revealed that of the available apps targeting NICU parents, less than half should be considered as acceptable educational material. Over two-thirds of the apps were found to have issues regarding credibility and just over a quarter were considered good quality. The apps currently available for NICU parents are lacking and of concern in terms of quality and credibility. Background: Globally, the uptake of health screening is suboptimal, especially in men and those of younger age. 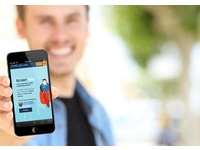 In view of the increasing internet access and mobile phone ownership, ScreenMen, a mobile Web app, was developed to improve health screening uptake in men. Objective: This study aimed to evaluate the utility and usability of ScreenMen. Methods: This study used both qualitative and quantitative methods. Healthy men working in a banking institution were recruited to participate in this study. They were purposively sampled according to job position, age, education level, and screening status. Men were asked to use ScreenMen independently while the screen activities were being recorded. Once completed, retrospective think aloud with playback was conducted with men to obtain their feedback. They were asked to answer the System Usability Scale (SUS). Intention to undergo screening pre- and postintervention was also measured. Qualitative data were analyzed using a framework approach followed by thematic analysis. For quantitative data, the mean SUS score was calculated and change in intention to screening was analyzed using McNemar test. Results: In total, 24 men participated in this study. On the basis of the qualitative data, men found ScreenMen useful as they could learn more about their health risks and screening. They found ScreenMen convenient to use, which might trigger men to undergo screening. In terms of usability, men thought that ScreenMen was user-friendly and easy to understand. The key revision done on utility was the addition of a reminder function, whereas for usability, the revisions done were in terms of attracting and gaining users’ trust, improving learnability, and making ScreenMen usable to all types of users. To attract men to use it, ScreenMen was introduced to users in terms of improving health instead of going for screening. Another important revision made was emphasizing the screening tests the users do not need, instead of just informing them about the screening tests they need. A Quick Assessment Mode was also added for users with limited attention span. The quantitative data showed that 8 out of 23 men (35%) planned to attend screening earlier than intended after using the ScreenMen. Furthermore, 4 out of 12 (33%) men who were in the precontemplation stage changed to either contemplation or preparation stage after using ScreenMen with P=.13. In terms of usability, the mean SUS score of 76.4 (SD 7.72) indicated that ScreenMen had good usability. Conclusions: This study showed that ScreenMen was acceptable to men in terms of its utility and usability. The preliminary data suggested that ScreenMen might increase men’s intention to undergo screening. This paper also presented key lessons learned from the beta testing, which is useful for public health experts and researchers when developing a user-centered mobile Web app. Background: The range of benefits associated with regular physical activity participation is irrefutable. Despite the well-known benefits, physical inactivity remains one of the major contributing factors to ill-health throughout industrialized countries. Traditional lifestyle interventions such as group education or telephone counseling are effective at increasing physical activity participation; however, physical activity levels tend to decline over time. Consumer-based wearable activity trackers that allow users to objectively monitor activity levels are now widely available and may offer an alternative method for assisting individuals to remain physically active. Objective: This review aimed to determine the effects of interventions utilizing consumer-based wearable activity trackers on physical activity participation and sedentary behavior when compared with interventions that do not utilize activity tracker feedback. Methods: A systematic review was performed searching the following databases for studies that included the use of a consumer-based wearable activity tracker to improve physical activity participation: Cochrane Controlled Register of Trials, MEDLINE, PubMed, Scopus, Web of Science, Cumulative Index of Nursing and Allied Health Literature, SPORTDiscus, and Health Technology Assessments. Controlled trials of adults comparing the use of a consumer-based wearable activity tracker with other nonactivity tracker–based interventions were included. The main outcome measures were physical activity participation and sedentary behavior. All studies were assessed for risk of bias, and the Grades of Recommendation, Assessment, Development, and Evaluation system was used to rank the quality of evidence. The guidelines of the Preferred Reporting Items for Systematic Reviews and Meta-Analyses statement were followed. A random-effects meta-analysis was completed on the included outcome measures to estimate the treatment effect of interventions that included an activity tracker compared with a control group. Results: There was a significant increase in daily step count (standardized mean difference [SMD] 0.24; 95% CI 0.16 to 0.33; P<.001), moderate and vigorous physical activity (SMD 0.27; 95% CI 0.15 to 0.39; P<.001), and energy expenditure (SMD 0.28; 95% CI 0.03 to 0.54; P=.03) and a nonsignificant decrease in sedentary behavior (SMD −0.20; 95% CI −0.43 to 0.03; P=.08) following the intervention versus control comparator across all studies in the meta-analyses. In general, included studies were at low risk of bias, except for performance bias. Heterogeneity varied across the included meta-analyses ranging from low (I2=3%) for daily step count through to high (I2=67%) for sedentary behavior. Conclusions: Utilizing a consumer-based wearable activity tracker as either the primary component of an intervention or as part of a broader physical activity intervention has the potential to increase physical activity participation. As the effects of physical activity interventions are often short term, the inclusion of a consumer-based wearable activity tracker may provide an effective tool to assist health professionals to provide ongoing monitoring and support. Background: Blood pressure (BP) tracking apps may aid in hypertension (HTN) self-management, but app quality may be problematic. Objective: This study aimed to develop a content-dependent rating system for BP tracking apps and systematically evaluate BP tracking features, content-independent quality, functional characteristics, and educational comprehensiveness of English language iPhone apps developed with the primary purpose of tracking a consumer’s BP measurements. Methods: We created a 28-item checklist reflecting overall app quality and a simplified 2-item checklist to assess adherence with home BP monitoring best practices. Apps with educational information were evaluated for comprehensiveness on a 7-point scale and for consistency with evidence-based guidelines. Higher scores represent better quality and comprehensiveness. We searched the Canadian App Store on June 28, 2016, using the keywords hypertension and blood pressure. A total of 2 reviewers independently assessed apps according to the standardized template. We determined if paid apps, educational apps, or those rated ≥4 stars were of higher quality. Results: Of the 948 apps screened, 62 met the inclusion criteria. The mean overall quality score was 12.2 (SD 4.6, out of 28) and 6 apps (10%, 6/62) met the home BP monitoring best practice criteria. In all, 12 apps contained educational content (mean comprehensiveness 2.4, SD 1.6 out of 14), most commonly, background information on HTN. Apps with educational content (mean 15.1, SD 3.8 vs 11.8, SD 4.8; P=.03) or a ≥4 star rating (median 19, interquartile range [IQR] 15-20, vs 12, IQR 9-15; P=.02) had higher overall quality. Conclusions: The BP tracking apps reviewed had variable quality and few met the home BP monitoring best practice criteria. When deciding to recommend a specific BP tracking app, we suggest clinicians should evaluate whether the app allows input of duplicate BP readings in the morning and evening for at least seven days and presents the mean BP value for user-specified dates. 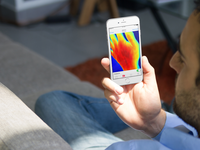 Greater attention to home BP measurement best practices is required during app development. Background: Cardiovascular disease (CVD) has grown to become one of the leading causes of mortality worldwide. The advancements of CVD-related treatments have led to a decline in CVD prevalence amongst individuals in high income countries (HICs). However, these improvements do not reflect the state of individuals in low-and-middle-income countries (LMICs) and vulnerable subgroup populations in HIC’s, like the Indigenous. To help minimize the health disparities in these populations, technology-based interventions have been offered as a potential solution, but there is concern regarding if they will be effective, or even needed, as these tools have been designed for use in HICs, Objective: The objective of this study was to explore how mobile health (mHealth) interventions currently assist individuals in Indigenous communities and LMICs with CVD management. Methods: A scoping review guided by the methods outlined by Arksey and O’Malley was conducted. A comprehensive search was completed by two reviewers in five electronic databases using keywords related to mobile health, cardiovascular disease, self-care, Indigenous communities and LMICs. Studies were screened over two rounds and critically reviewed using a descriptive-analytical narrative method. Descriptive data was categorized into thematic groups reflecting the major findings related to the study objective. Results: We identified a total of 11 original articles and 11 review papers that met the criteria for this scoping review. The majority of the studies included a telemonitoring and SMS related feature associated with the intervention. The use of SMS was the most common approach to effectively promote disease management amongst individuals in both LMICs and Indigenous communities. However, customizing for cultural considerations within the design of the intervention was highlighted as a pivotal component to encourage CVD management. Specifically, individuals emphasized that the inclusion of collaborative partnerships with community members would strengthen the effectiveness of the intervention, by ensuring it is designed with the appropriate context. Conclusions: Technology-based interventions used within Indigenous communities and LMICs has shown its potential to assist individuals with managing their condition. Although the literature available regarding this topic is limited, this review outlines key components to promote the effective use of these tools in the context of these vulnerable populations. Background: Depression is one of the most common mental health disorders and severely impacts physical, psychological and social functioning. To address access barriers to care, we developed Ascend - a smartphone-delivered, therapist-supported, 8-week intervention based on several evidence-based psychological treatments for depression and anxiety. Objective: A feasibility study reported that Ascend is associated with a post-intervention reduction in depression symptoms among 102 adults with elevated depression. Here, we examined whether Ascend is also associated with a reduction in symptoms of anxiety, and critically, whether reductions in symptoms of depression and anxiety are maintained up to 12 months post-intervention. Methods: We examined whether the previously-reported, end-of-treatment improvements among 102 adults with elevated symptoms of depression extended up to 12 months post-treatment for depression symptoms (measured by the Patient Health Questionnaire [PHQ-9]), and up to 6 months post-treatment for anxiety symptoms (added to the intervention later, and measured by the Generalized Anxiety Disorder scale [GAD-7]). We used linear mixed effects models with Tukey contrasts to compare time-points, and report intention-to-treat statistics with a sensitivity analysis. Results: The intervention was associated with reductions in symptoms of depression that were maintained 12 months after the program (6.67 reduction in PHQ-9, 95% CI 5.59 to 7.75, P < 0.001; Hedges’ g = 1.14 [0.78 to 1.49]). 60% of participants with PHQ-9 scores above the cut-off for major depression at baseline (PHQ ≥ 10) reported clinically significant improvement at 12-month follow-up (at least 50% reduction in PHQ-9 score and post-program score < 10). Participants also reported reductions in symptoms of anxiety that were maintained for at least 6 months after the program (4.26 reduction in GAD-7, 95% CI 3.14 to 5.38, P < 0.001; Hedges’ g = 0.91 [0.54 to 1.28]). 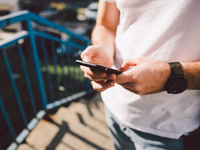 Conclusions: There is limited evidence regarding whether outcomes associated with smartphone-based interventions for common mental health problems are maintained post-treatment. Participants enrolled in Ascend experienced clinically significant reductions in symptoms of depression and anxiety that were maintained for up to one year after the intervention. Future randomized trials are warranted to test Ascend as a scalable solution to the treatment of depression and/or anxiety. The preferences of patients with cancer regarding an app to help them to meet their illness-related information needs: a qualitative interview study. Background: The shift from inpatient to outpatient and community cancer care means that more patients with cancer are required to manage their condition at home, without the direct supervision of their clinician. Subsequently, research has reported that many patients with cancer have unmet information needs during their illness. 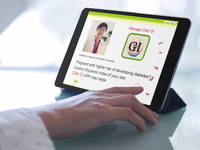 Mobile devices, such as mobile phones and tablet computers, provide an opportunity to deliver information to patients remotely. We aimed to develop an app intervention to help patients to meet their illness-related information needs in non-inpatient settings. In-depth qualitative research was required in order to gain an understanding of the views of the target users prior to design of the intervention. Objective: This study aimed to explore the information needs of patients with cancer and their preferences for an app and desired app features. Specifically, the perceived acceptability of an app, desired app features and the potential benefits and disadvantages of, and barriers to, an app were explored. Methods: Qualitative, one-to-one semi-structured interviews were conducted with patients with urological, colorectal, breast or gynecological cancers (n=23) across two hospitals in South Wales. Interviews were audio-taped, transcribed and analyzed using thematic analysis. Results: Findings indicated that barriers to information exchange and understanding in consultations, and identification of reliable information sources between consultations, appeared to contribute to patients’ unmet information needs. Consequently, app feature suggestions included a question prompt list, glossary of cancer terms, resources feature and a contacts feature. Anticipated benefits of this type of app included a more informed patient, improved quality of life, decreased anxiety and increased confidence to participate in their care. The anticipated barriers to app use are likely to be temporary or can be minimized with consideration of these findings during app development and implementation. Conclusions: This study highlights cancer patients’ desire for an app intervention to help them to meet their information needs during and between consultations with their clinicians. This study also highlights the anticipated acceptability and benefits of this type of intervention, however further research is warranted. Background: The development of mHealth (mobile health) has changed people’s routines of improving self-management. Nonetheless, the effectiveness of the apps depends on the frequency of use. Objective: This paper introduces a new framework of fitness apps associated with obesity modeling by using structural equation modeling (SEM) and examining data of postpartum women through moderation analysis. Fitness mHealth apps are considered the moderator in the research framework. Methods: Online questionnaires were sent to Malaysian postpartum women within one year after pregnancy and 468 completed questionnaires were returned. The frequency of mHealth fitness app use was categorized into four groups: daily, weekly, rarely and never. Therefore, four models were considered for the final analysis. Results: According to the output, every model has a different structure in terms of significance and coefficients. The R-squared obtained for the “daily” model (0.82) is the highest, followed by the “weekly” (0.79), “rarely” (0.66) and “never use” (0.59) models. This infers that 82% of mental health variation is related to the demographics, lifestyle, healthy and unhealthy food intake and BMI of daily fitness app users. In addition, the impact of BMI on mental health in every model is significant with a negative coefficient, which implies that users with high BMI have less mental health issues. Meanwhile, the factor loading analysis indicates that the screen time (0.89) and physical activity (0.81) indicators are the two highest coefficients in the lifestyle variable. This result is subsequently equivalent to the daily and weekly fitness app users who choose to consume more healthy food and thus have a lower BMI. Conclusions: This paper proves that Malaysian postpartum women who use fitness apps as part of their daily life are more disciplined and such applications have significant effects on obesity and mental health. However, for never or weekly users, the statistical analysis shows there is no proof of the effectiveness of self-management activities that affected on obesity and mental health. Therefore, the frequency of fitness app use acts as a moderator in postpartum obesity and mental health modeling. Background: Being socially connected is related to well-being in older age. The use of social media helps people to stay connected despite physical proximity. However, some older people are resistant to mainstream social networking technology which they see as shallow compared to face-to-face contact. Objective: In this paper, we report the design and evaluation of a novel social networking system called Media Parcels, specifically designed to deepen relationships over a fixed period within a small group of users. The system uses a time-based dialogue running on a network of smartphones or tablets, to elicit and re-distribute ‘media parcels’ in distinct phases between users. Methods: Two trials of the system in both the UK and Brazil were conducted with family and friendship groups respectively. Results: The findings show strong engagement with the system and positive social effects for both deepening and developing relationships over a short space of time. Conclusions: The Media Parcels system was an effective approach to promote media sharing of emotional content for the elderly population. Clinical Trial: It was not a clinical trial.